11,939 others viewed this post. I just finished my first “test” image with a second hand camera I picked up online that uses the Kodak 8300 sensor and boy, am I impressed. The jump to mono has increased the detail in my images by triple but in this image, I managed to blend in narrowband data from the mono camera (Hydrogen, Oxygen & Sulpher) with RGB colour data from the old camera at 50% to show a dynamic range which combined, seems even more luminous and detailed than either. It’s an unusual technique and the colour is “false” but the structure is real. 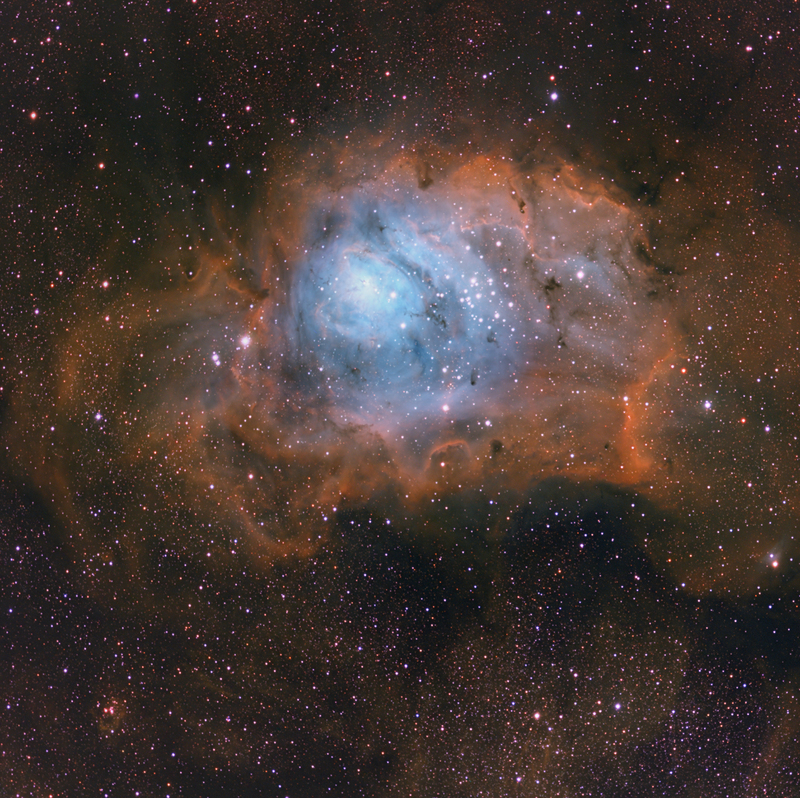 Colouring the different channels this way allows us to see deep into the nebula and it’s star-forming clouds. This took at least 4 nights of imaging and I haven’t added up the total time exactly, but it’s about 4 hours of exposures I think. That’s still pretty quick, thanks to the F2 Hyperstar / Celestorn 9.25″ optics.